Modern information technology has leaped forward, and now, it is sufficient to send an e-mail from home to reach the desired destination. But that desire, if you wish to send a package, because e-mail is impossible. For this, there are communication services and a post office that can send the desired object in the place where you require. It is important to know some of the subtleties of sending and the procedure of registration of the parcel. Collect the parcel. It is important to take into account the standard of weight and kind of packaging, because packaging size is limited. So sending in Israel may be of a size that not more than 75х75х75 cm, and its weight must not exceed 30 kg. it is best to purchase special packages at that point, where will be sent. Any parcel should be tightly Packed in order when transporting stuff inside does not hurt.Attention! When collecting items in the parcel , see the list of goods that can be sent to the country, as there are certain groups of goods prohibited for export. And also read the information on the Declaration of different kind of items. Come with shipping to the point of departure, taking your passport or other identity document. Weigh the parcel. This procedure produces an unauthorized person - an employee of the post office. 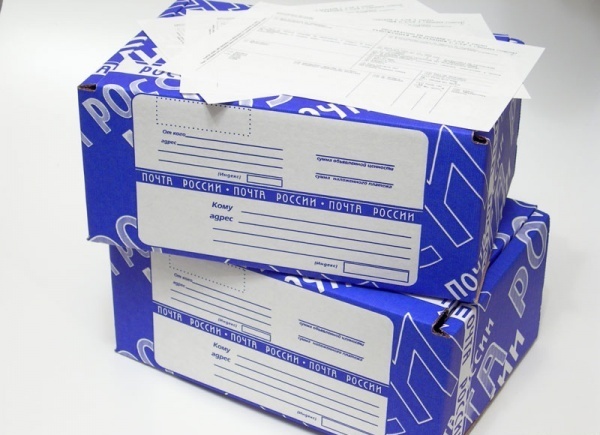 Go to the customs Declaration and accompanying ' (form CN23 and СР71 respectively). Remember the address specified on the parcel and the address in the Declaration must match exactly. The form of the customs Declaration to fill you can get in place of sending. In the Declaration it is necessary to clearly specify the entire list of sent items, as well as the value of these things separately. Don't forget to put your signature on the forms. Give to check the parcel to the agent who will check whether your Declaration things with real, as well as other details of the package. Navigate to the sealing of the parcel. Specify on the packaging "Caution! Fragile!" in that case, if you send fragile things that can break or suffer from accidental drops. Glue on all seams of the box special measuring tape. Attach the front of the packaging in a special form, which will be given on the spot. On this form you must specify the complete address and telephone number of the sender, the parcel weight and number and all the details of the recipient (full address, phone number, name). Remember - the package cannot be sent in the name of the company. In the to: line, you must specify the name of a natural person, if necessary it can be any working in the organisation-the addressee. When making Blanca do not forget to specify the sender's country and the country to which addressed the parcel. Tell ready the package and his passport, and the address of the addressee who accepts the package for comparison and entry into computer data. Pay state duty, if your parcel exceeds this limit on the total amount of things and also the fee for the shipment. Obtain a receipt.